I want to start off by saying that I am well aware of the controversy that surrounds sleep training. Like almost any parenting choice there will always be people that fall on both sides of the spectrum and sleep training is no different. I am a firm believer in doing what feels right for you and your family. Motherhood is a never-ending battle of judgment, mom guilt, and constant comparison as it is, and I don't feel the need to add to the stress. When it comes to these hot-button topics my advice is to choose what you think is best. Be consistent. Don't start something you don't want to continue and don't expect your baby/child to change (without assistance) once a behaviour has become ingrained. First off, in the grand scheme of baby sleep patterns, I got pretty lucky with 2 babies who slept pretty well even before sleep training. Yes, there was crying and night wakings which ultimately led to sleep training, but there wasn't hours of attempting to get my babies to sleep, or hours on end of being awake in the middle of the night. So, I really can't speak to the truly sleepless parent who is in a bedtime battlefield, delirious from rocking their baby to sleep, only to have them wake up 45 minutes later. We chose to sleep train our kids for 3 specific reasons. The first was that my husband and I both value sleep. We are not the kind of people who wake up after 2 hours of sleep firing on all cylinders ready to take on the world. Instead, we are the people who roll out of bed and drag ourselves to the coffee pot as we silently question all of our life choices. The second reason was that in my life before motherhood I taught kindergarten and I saw the impact that sleeplessness had on children. The kids who didn't sleep well were more likely to have trouble focusing, displayed more erratic behaviour, had less energy to complete tasks, and even fell asleep in the classroom. When I have a rough night of sleep it impacts my day immensely; that feeling is magnified in the growing bodies and brains of our children. We didn't want their development to suffer because they weren't getting enough sleep to grow and learn. Lastly, sleep is a learned behaviour and we thought it was important to teach the skill of sleep to our children earlier rather than later. Sleep is not something that naturally comes to babies, so providing our children with the opportunity to sleep without assistance was important to us. Sleep habits become entrenched as we age so being proactive to ensure that those habits were practical for our family was essential. When it came to my daughter, the catalyst for starting sleep training was the eventual run-down state we found ourselves in after countless nights doing multiple wakings. While she wasn't particularly challenging - with a simple feed, she would fall back asleep - we did notice that her night feeds had increased, especially after the 4-month sleep regression. As a consequence, I was struggling to fall back asleep after each feed, which meant I was awake for a significant portion of the night. Of course, we were fearful of sleep training. We kept the hope alive that, eventually, it would fix itself. But when my daughter was 5 and a half months old we knew we needed to make changes for everyone's sanity and that meant moving her to her own room, in a crib, without a pacifier to help her fall asleep. With my son, the necessity to sleep train was not as high. He has proven to be an easy baby in terms of sleep. 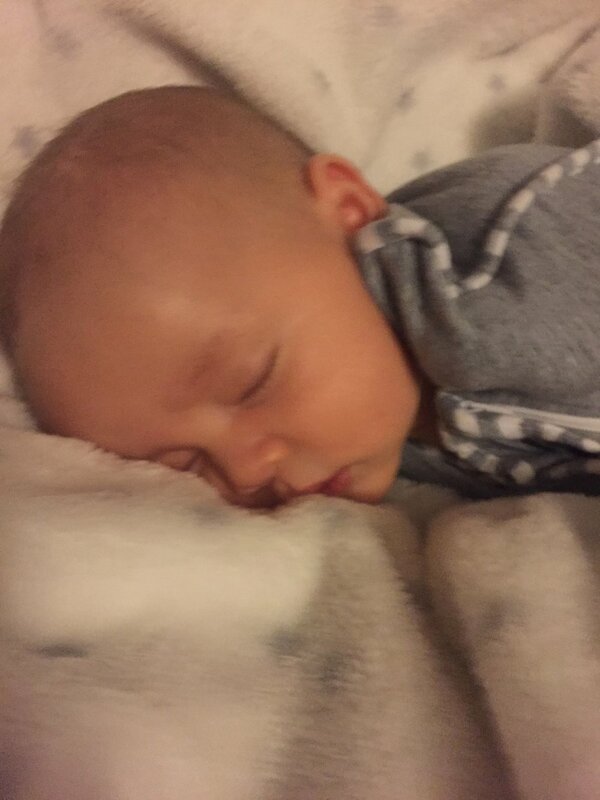 From birth, he slept like it was his only reason for being. He slept 23.5 hours of the day and up until 4 months slept during all of Maelle's outings and activities. From the day he entered this world, Linden has put himself to sleep more often than not. He slept multiple hours and never took a pacifier so he never had that habit to break. When he had off nights, and would wake up and cry, I would feed him and he would fall asleep immediately. With Linden, three wakings qualified a particularly tough night. My husband and I always threw around the idea of sleep training but it was just easier to feed him and put him back down. Second child - we got lazy and quite frankly never felt that "I can barely function" exhaustion that we did with our first. At about 9 months we made the firm decision to actually sleep train so that he would be equipped with the tools necessary to make it through the night. I started by researching the heck out of every sleep training method out there. I searched everything including baby websites, sleep blogs, sleep coach websites, reddit pages and forums. I quickly learned that there was a wide range of methods to sleep train from the most abrupt cry it out techniques to the gentlest no cry strategies. I encourage any person who is exploring sleep training to research a variety of methods and make a decision based on what you feel comfortable with, what will work for your child, and what you feel capable of doing consistently. Time and time again, I came across the Ferber method and read hundreds of positive reviews. 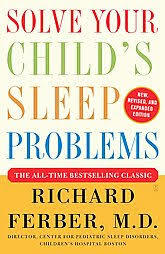 Eventually, I bought the book by Doctor Richard Ferber titled Solve Your Child's Sleep Problems, and after reading it from front to back I committed to the method. Do not use my brief summary here as a substitute for reading the book itself. The book provides you with all of the pertinent answers to the questions you will inevitably have. Routine - Before starting the Ferber method, ensure you have a consistent, short sleep routine for both naps and bedtime. This can be as simple as feeding a final time, reading a book, singing a song, changing a diaper, and putting them into their designated sleep space. I personally recommend not feeding your child as the last step of the routine because of the association your child may make, especially if you are breastfeeding, and are therefore the only person able to complete this step. Pick a date - Choose a date to start training that works for your family. We began on a long weekend, free of illness, teething, and scheduled activities. You will need 3-7 days minimum but this doesn't mean that it will be completely smooth sailing after a week. There will be regressions and rough nights for even the best sleepers. Go all in - Make all of the changes at once to enable a successful transition. We removed the swaddle, the pacifier, and transitioned into the crib all at once. The Ferber method is clear that sleep associations (anything that the baby associates with falling asleep) need to be removed in order to successfully train. Pick your intervals - The Ferber method is centred on a progressive waiting approach with timed intervals that increase. On day one, he suggests leaving your child to cry for 3 minutes, 5 minutes, and then every 10 minutes until the child falls asleep. The second night, the intervals increase to 5, 10, and 12 minutes until the child falls asleep. He details exact times you can use in his book or he says you can choose your own progressive intervals as long as they gradually increase each time you enter the room and each night. Let the fun begin - Start the training process from the very first time you lay them down for bed. When they begin to cry, start a timer. If time lapses and your child is still crying go into their room and comfort them however you feel is best. Whatever way you choose, your goal is not to get them to fall asleep. It is to help them calm down and let them know you are there supporting them. Do not stay in their room longer than a couple of minutes. Leave, and restart the timer for the next interval. If your child stops crying in the middle of an interval but restarts crying again, you restart the timer. After just 3 nights, our kids were crying minimally and putting themselves to sleep before the first timed interval ended. The key to success using this method is consistency. Having a routine that works and following the structure gives your baby predictability. Don't expect overnight success and don't give up after just a few days. Ferber stands behind his method but never says it will be easy. For us, it was extremely challenging with our first chid to attempt sleep training but once we saw and felt the drastic results we knew we made the right decision. The Ferber method is not cry it out and under no circumstance would I suggest leaving a baby to cry endlessly. I would also never sleep train before the 4 month mark. I personally believe that building a bond with your baby and letting them know that you are always there for them throughout the first 4 months of their lives makes the training process easier. There is a difference between sleep training and weaning night feeds. Just because you are sleep training doesn't mean your child will be able to sleep through the night without a feed. Ferber has different strategies for dealing with night feeds while still sleep training. Trust your instincts. You know your baby best and if you think that sleep training isn't working take a step back, reevaluate your decision, and either postpone sleep training or find something else that will work for your family.